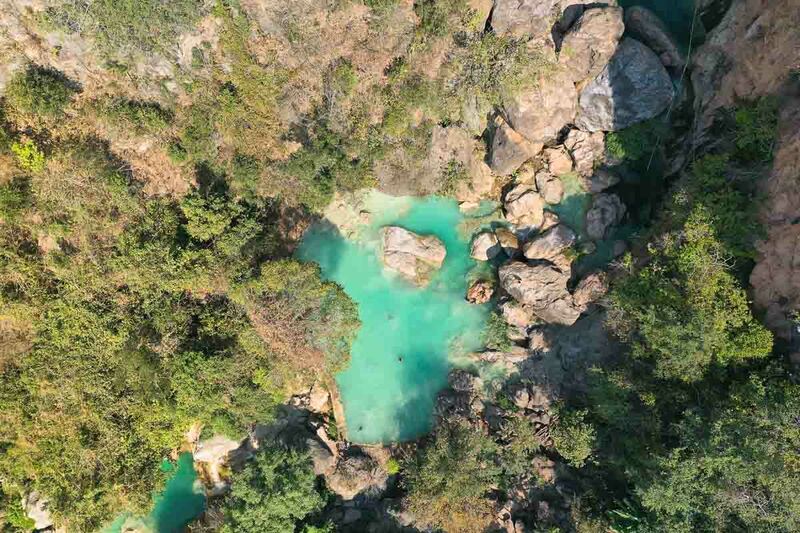 Catch the sunrise on a hot air balloon, enjoy a dip in a secret natural lagoon, and visit some of the most sacred monasteries — this all-encompassing Myanmar itinerary is what adventure-seekers need to explore. Myanmar is like the sophisticated girl you once met at a party — spellbindingly beautiful, she commands your attention and keeps hold of it effortlessly. She’s also had a complicated past. The ideals that her high-ranking military father imposed on her still linger, and she’s even had to change her own name. But despite her conservative nature, she’s beginning to open up to the world about who she really is. The good news: She wants to get to know you too. This nine day Myanmar itinerary is your guide to the adventures you can experience in the charming, dusty, and incredibly enchanting country once known as Burma. Tourist Visa: Singaporean passport holders don’t need to apply for tourist Visa into Myanmar. If you’re not a Singaporean passport holder, applying for an eVisa on the official Myanmar eVisa website is simple and only takes 48 hours to confirm. Connectivity: Find 4G SIM cards at Yangon International Airport starting from S$12 for unlimited data. Airport Transfer: There are 24/7 shuttle services to-fro Yangon Airport and Yangon Railway Station at K500(~S$0.45)/pax. Alternatively, book a private transfer that sends you comfortably to your place of stay in Yangon city. As the former capital of Myanmar, Yangon tends to be the first stop for every first-time visitor. It’s often the cheapest airport to fly in to as compared to Mandalay, and it being more developed makes navigating easier for first-timers. However, we believe that there’s more to Myanmar that can be found outside the busy, bustling city. 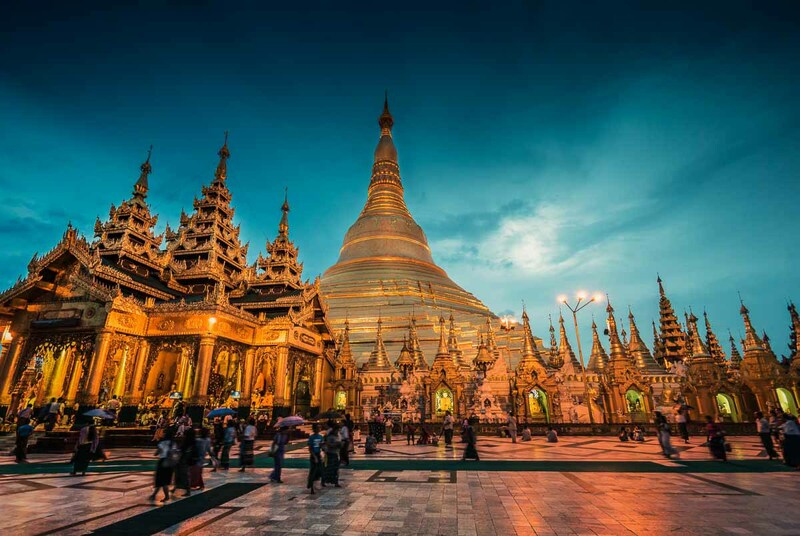 If you’re taking a morning/afternoon flight, we recommend catching the magnificent sunset at its most iconic attraction, the Schwedagon Pagoda, before beginning your adventure in the other parts of the country. Getting from Yangon to Bagan: Pre-book the overnight VIP bus via Klook (~S$29.89). The bus leaves at two timings (8PM and 9PM) daily from Aung Mingalar Highway Bus Station. The ride is 10 hours so you’ll arrive at 6AM/7AM the next morning. Nyaung-U: Bagan’s main transport hub where the main bus station, airport and railway stations are located. Hostels in this area are relatively cheaper as it’s further away from the rest of the city. 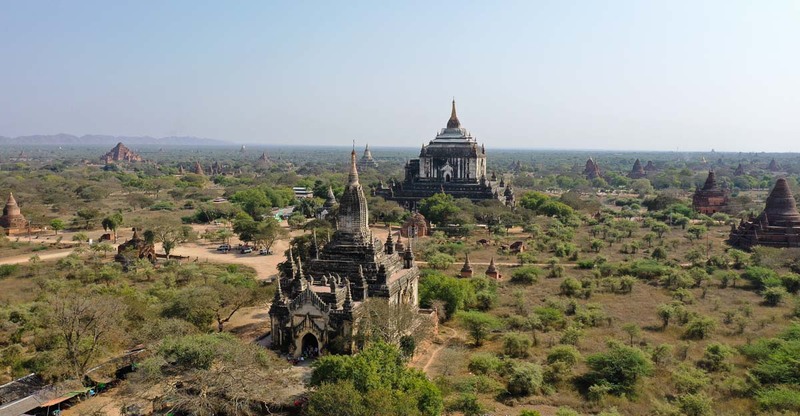 Old Bagan: Most of what tourists come here to see lies in Old Bagan. 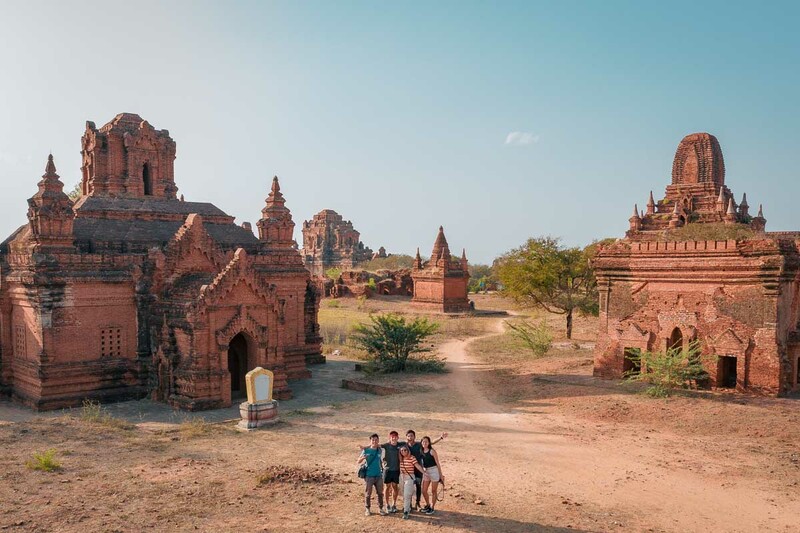 Before the government had majority of the population relocate to New Bagan, the town was bustling with people amongst the myriad of cultural marvels still standing today. You will find hotels that are slightly more pricey here as a result. 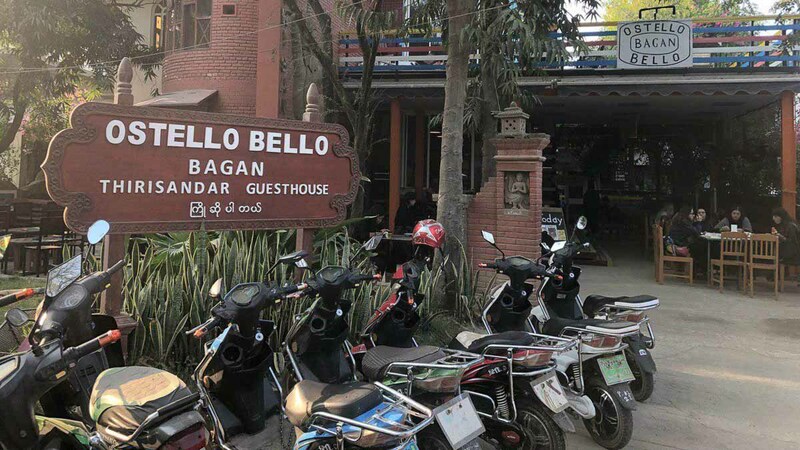 New Bagan: The hostel we stayed at, Ostello Bello, is located here. There are plenty of convenience stores, food stalls and local businesses as you would expect from a small town. 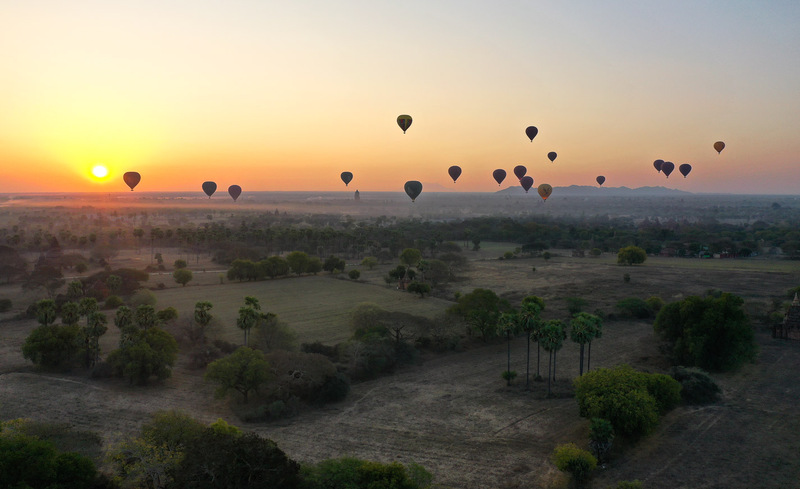 It is about a 10-minute bike ride away from Old Bagan. Your overnight bus will end up somewhere in Nyuang-U and your taxi ride from the bus terminal should fall somewhere between K2,000 and K8,000 depending on where your hostel is located. 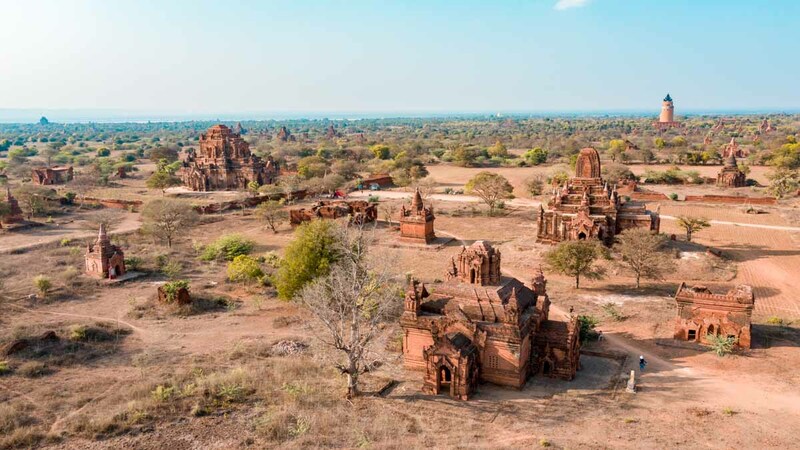 Note: All tourists visiting Bagan will have to pay a fee of K25,000 (~S$22.40) for an “Archaeological Zone Pass” that entitles visitors entry into four main settlements within three days. Remember to carry the ticket with you at all times as you may be stopped for random checks by the local police. The very first thing you have to do in Bagan, aside from checking into your hostel and taking that urgent dump, is to rent an E-bike. It’s the best way to get around the city for two simple reasons. One, you get to hunt pagodas and sunsets and at your own pace. Two, it’s cheap as heck at US$5/day. Crowds of sunset hunters climb atop a pagoda to await its descent together. With an e-bike in your possession and time in your hands, you may begin your journey to uncovering the abundance of gems that brings flocks of cultural adventure hunters over. This particular pagoda was completely destroyed by the 1975 earthquake and then completely rebuilt. 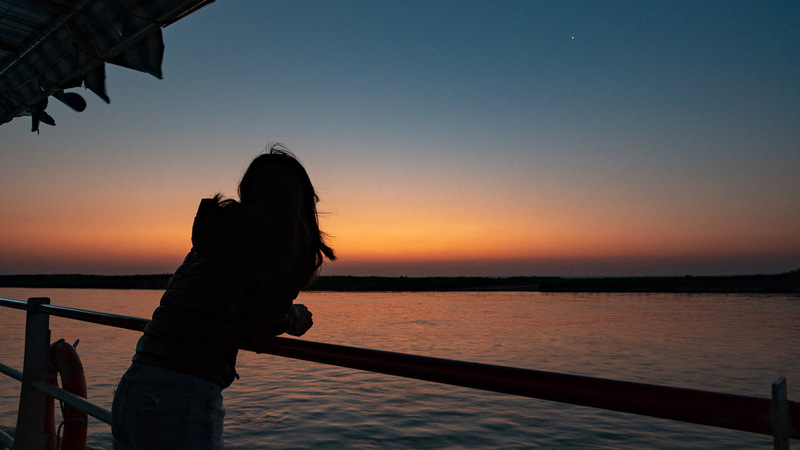 Overlooking the shores of the Irrawaddy River, the sight of the Bu Paya at sunset attracts tons of boats who line up to interest you in a dazzling evening out at sea. A boat ride can cost up to K5,000/pax, so we advise you to enquire at your hostel reception if there are any tours that are more reasonable in price. Located in front of the Bagan Palace, the Shwegu Gyi Pagoda stands out to us because its obvious shades of black are a refreshing palette away from its shiny, reflective counterparts. You may even get your face “painted” with thanaka for free by the folks who set up their stalls here, although you’d probably feel obliged to buy a thing or two from them afterwards. The story, or rather legend, of the Ananda Temple is a fascinating one. After the King had this built, he also had its architects killed to ensure that nothing like this would ever be built elsewhere. Your ex doesn’t seem that crazy anymore, does she? 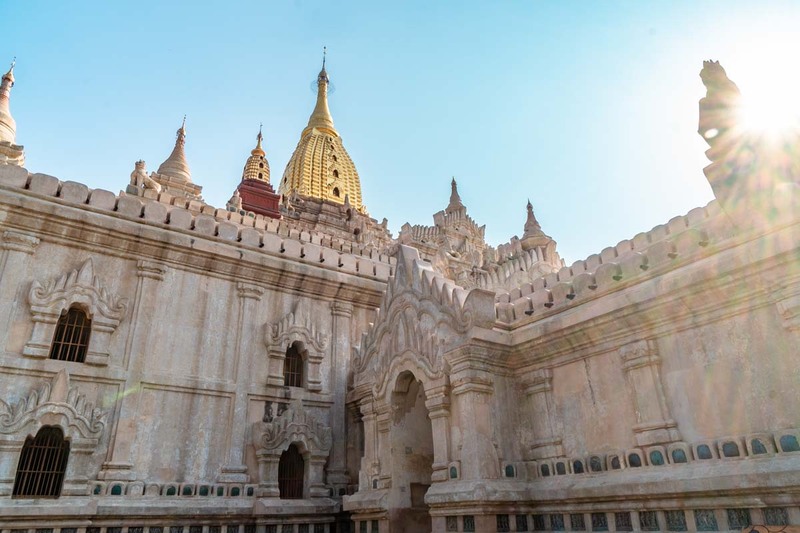 Don’t leave Bagan without first paying a visit to one of the city’s most well-preserved temples. 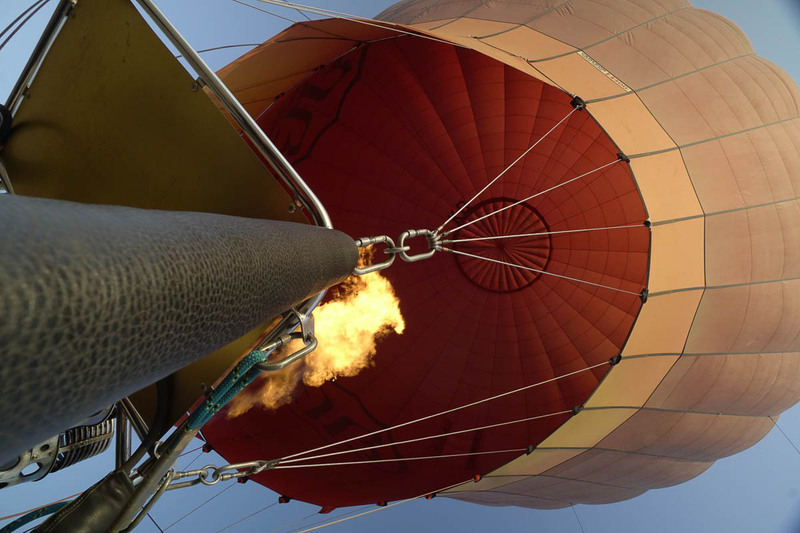 How can you not be fascinated by a massive balloon fuelled by fire? We’ve previously flown up in the skies on board Dubai’s magnificent hot-air balloon, but this time, the ground below was scattered with the view of countless pagodas lit up by the sun right behind us. Although it was a tad bit expensive given it’s a tourist hotspot, it’s certainly worth adding to your bucket list should you have the funds. The package we booked brought us from the hotel directly to the site of the launch, and we also had complimentary glasses of champagne — as if we weren’t already feeling classy enough. 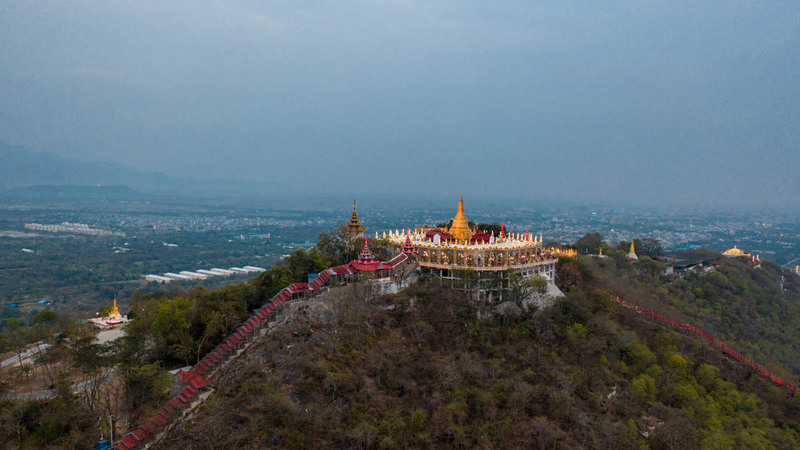 Mount Popa is the sacred home for dozens of spirits called Nat’s, who according to the locals, choose to reside here because of the desirable weather conditions up in the mountains. We booked a day tour to visit the golden monastery atop the extinct volcano, as well as the Yokesone Monastery in Salay about a 30-minute drive away. There are supposedly 777 steps leading to the highest point, although that number may not be entirely accurate. Our guide for the day insists there are 821 steps, while my best attempts to ignore the unruly monkeys’ attempts to steal my water bottle on the way down resulted in me concluding that there were only 560. Many locals make the arduous climb to pray to these spirits for good luck. 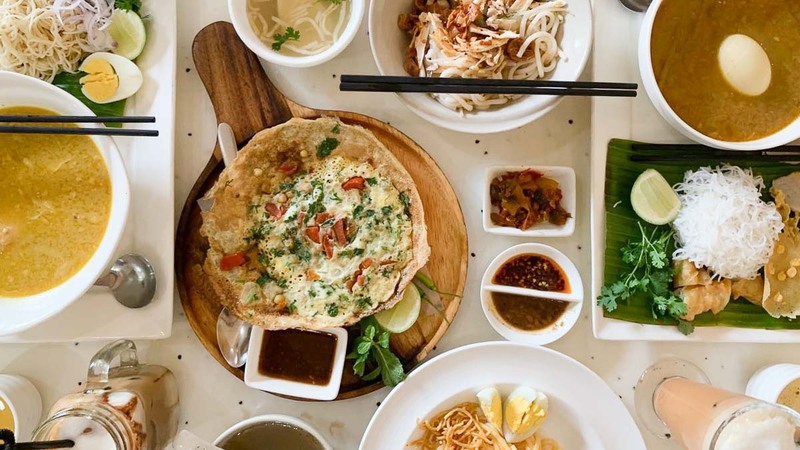 Shwe Ou Food Garden (New Bagan) serves a variety of Western, Chinese and of course local Burmese cuisine, with the coffee options particularly impressive. 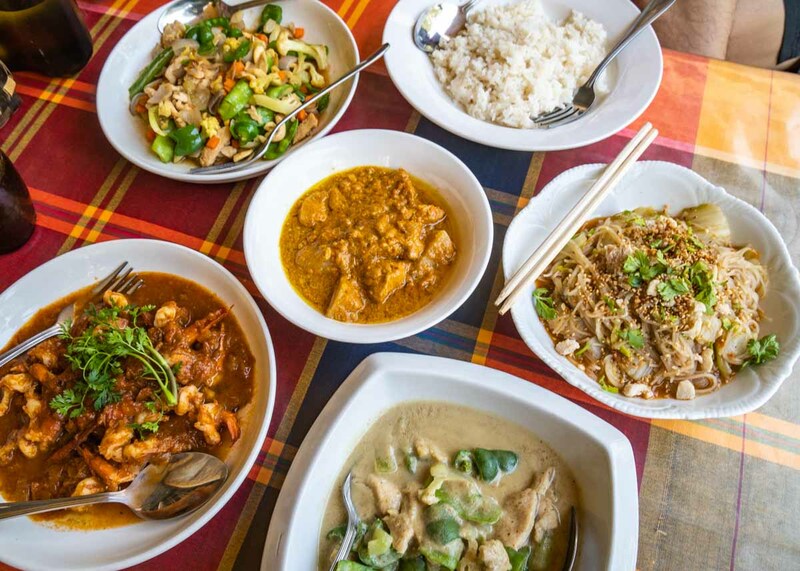 Order the Irrawaddy River Prawn Curry in Myanmar Style (K7,000), Butter Chicken Curry with Potato (K3,000), Caramel Latte (K2,500) and Homemade Ice-Cream (K2,000) for dessert. Address: Kayay Street, New Bagan (A minute’s walk from Ostello Bello Hostel). 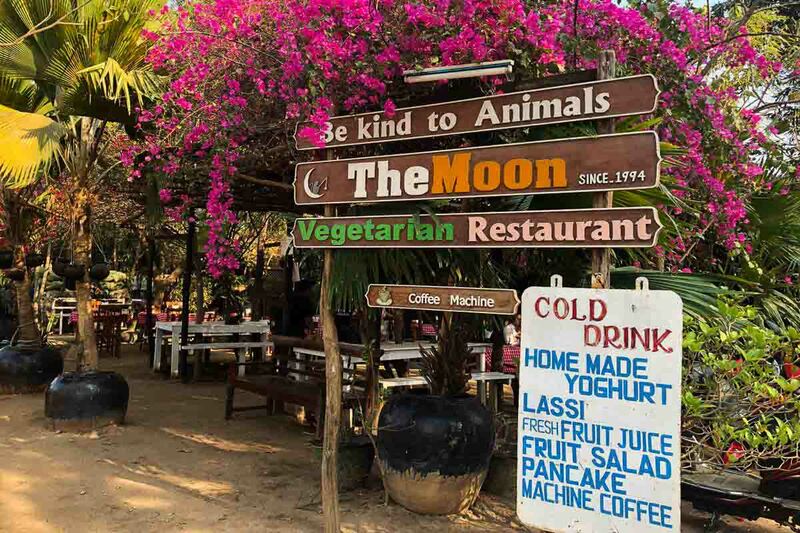 The Moon (Be Kind to Animals) and Yar Pyi (both in Old Bagan) are right opposite one another, and are two of the most famous vegetarian restaurants in this part of the city where food options are few and far between. The former is usually the preferred choice of tourists with raving reviews on Trip Advisor, whilst the latter almost pleads you to give it a go with humorous signboards and handwritten reviews stuffed in its menu. We tried both — and both equally impressed us. If you’re dining at the Moon, we recommend getting the Pancakes with Ice Cream (K3,000) and mixing your Moon Lime Ginger Honey Juice (K2,000) with a can of Sprite to quench your thirst with deadly efficiency. The Guacamole & Papadoms (K3,500) and Banana Spring Rolls (K3,000) at Yar Pyi were the stars of the show here. If you’re looking for a cordial conversation to go along with your meal, chat up the earnest Yar Pyi lady server with a big smile (who’s also the cook). She just might give you an extra plate of fruits too. Address: North of Ananda Temple, Old Bagan. Sunrises in Myanmar are a different animal altogether. On the country’s revered Irrawaddy River, it was a majestic beast. I had fully intended to use the 12-hour cruise to Mandalay city as welfare for my sleep-deprived body. But after being unceremoniously dragged out into the open deck, I realised just how naive I was to value shut-eye over the intense orange glow of the sun segueing between the calmer blue hues of both the sea and the sky. A hearty breakfast of coffee, toast and hard-boiled eggs accompanied the chilly breeze and just for once, instead of going into hiding downstairs, the sentiment was to lay back on the wooden deck chair and lip-sync apt One Republic songs with my colleagues. How to get there: Grab a local taxi from your accommodation for about K15,000 to K25,000 to Nyaung-U Jetty. Check-in timing is from 5AM – 5:30AM. *Pro-tip: Get there early to reserve the window seats, as there will be power outlets on the side for you to charge your electronics. 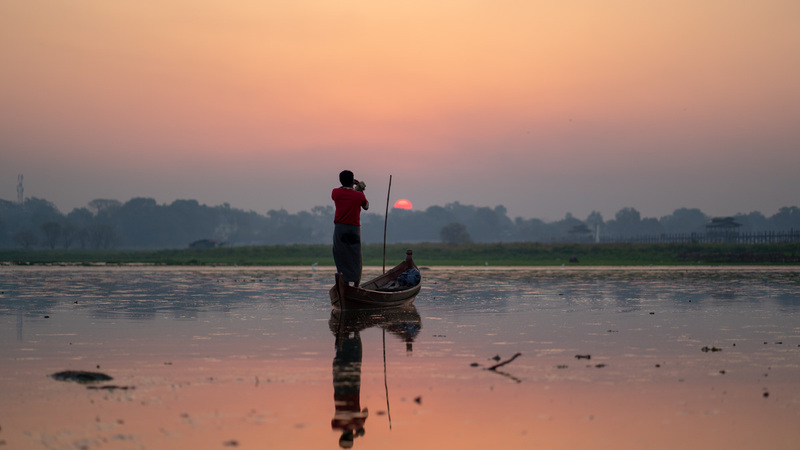 Whilst people tend to use Mandalay as a base point to explore the surrounding ancient cities (Amarapura, Inwa, Sagaing, Mingun), the second-largest city in Myanmar has a vibe of its own. The entire city is laid out in a grid system of intersecting streets with the grand Mandalay Palace in the center, making establishments easy to locate even for those with a ridiculous lack of directional sense. 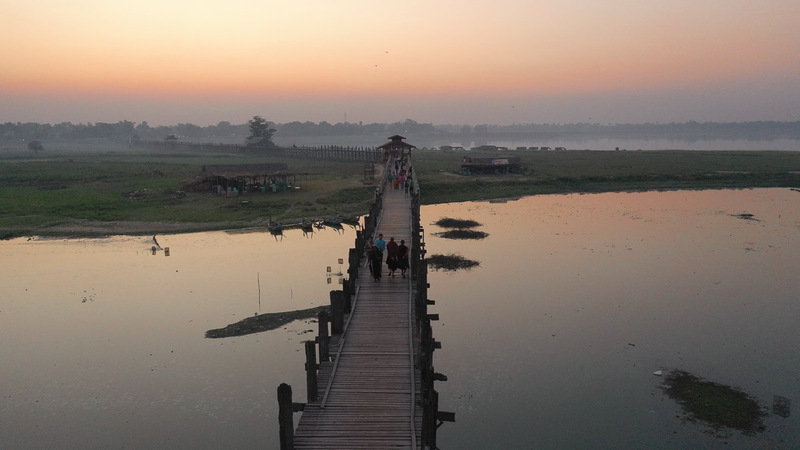 The U-Bein Bridge at sunrise feels like the gateway to another dimension where nirvana can finally be attained. Clouded in mantic mist and patrolled by monks from both directions, couples almost subconsciously become doubly touchy and affectionate. 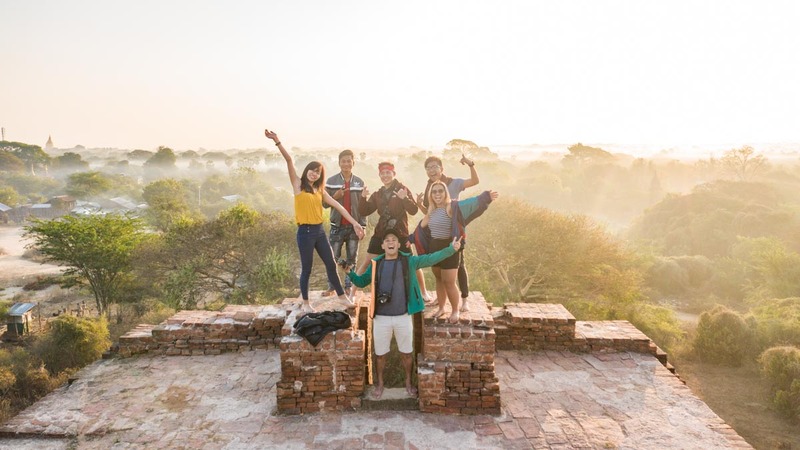 Although it is a 30-minute drive from the city centre in Amarapura, and you have to wake up pretty early to grab a taxi there, we recommend going before dawn around 5.30AM instead as it tends to crowd twice as much come evening time. Order a bowl of Shan Noodles at the Shwe Myint Mo Cafe nearby for less than K3,000. It is spicy, but splendid. This photo cost us K5,000. *Pro-tip: There will be fisherman “models” near the shore who offer to pose for pictures while “catching fish”. Don’t take photos, otherwise they might chase after you with a pitchfork if you refuse to pay them the aforementioned modelling fees. 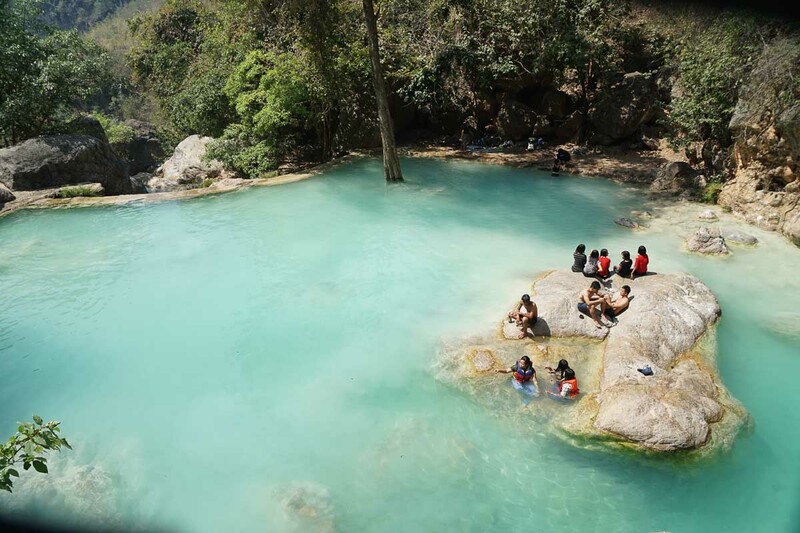 The locals who live nearby enjoy coming here to take a dip, while its residents treat it as a multi-purpose water well as well — washing clothes and bathing their children. It’s mostly free of other tourists if you come on the weekdays. There’s also a mini waterfall which doubles up as nature’s free massage parlour. How to get to Dee Dote Blue Lagoon. The Kuthodaw Pagoda is home to 729 pages of sacred Buddhist text in the form of marble inscriptions spread across the compound. 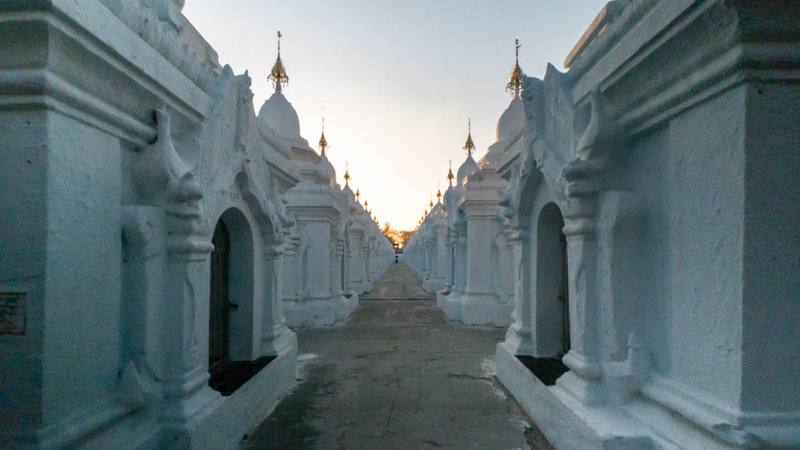 While you probably won’t be able to read it, the never-ending rows of individual white stupas that houses each page are a majestic gateway pointing you towards the central, golden place of worship. Another activity based around the sun?? Yes, but only because it’s worth it. 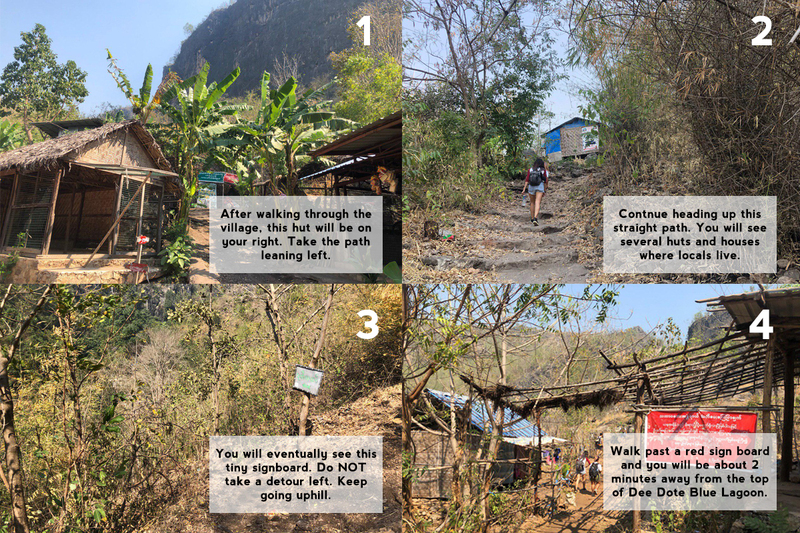 The climb up to the top takes about 30–40 minutes at a normal, leisurely pace, but only 10–15 minutes if you create travel content but fail to properly manage your time and end up sprinting past bewildered novice monk apprentices. 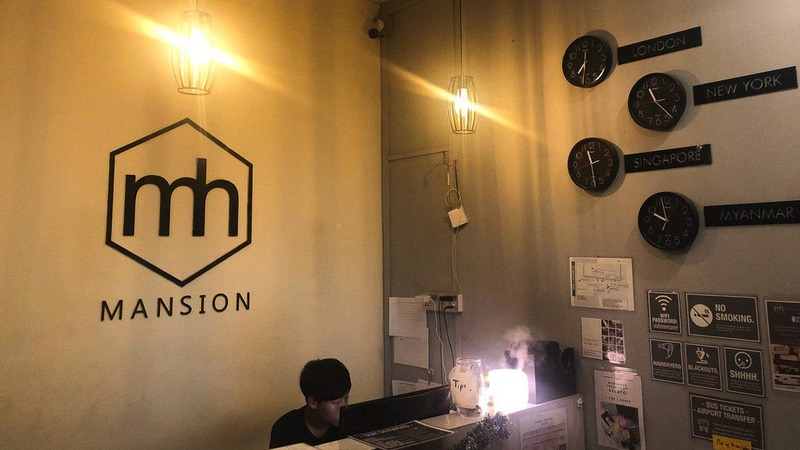 During our time in Mandalay, we stayed in Mansion Hostel, a tidy establishment run by two young Singaporean women who hadn’t chosen to pursue a corporate job back home. It’s located directly opposite the south entrance of the grandiose Mandalay Palace and a great place from which to begin exploring the city. They’ve curated a neat hour-long alternative audio tour of Mandalay that you can embark on yourself with a set of earphones, a map, and K2,000 (S$2). It lays out interesting nuggets of info to help you appreciate daily life in Myanmar just a little more. Address: 26th Street, between 72nd & 73rd Street, Mandalay. The Unique Mandalay Tea Room was by far the culinary highlight of our stay in Myanmar. It’s not usually recommended for writers to eat at the same place twice for the sake of variety, but frankly, when delicious food is involved, editorial integrity tends to take a backseat. Here, we finally had a taste of Mohinga (K2,500), Myanmar’s national dish of rice noodles covered in Mrigal fish-based soup. We also understood why it was given that honour. 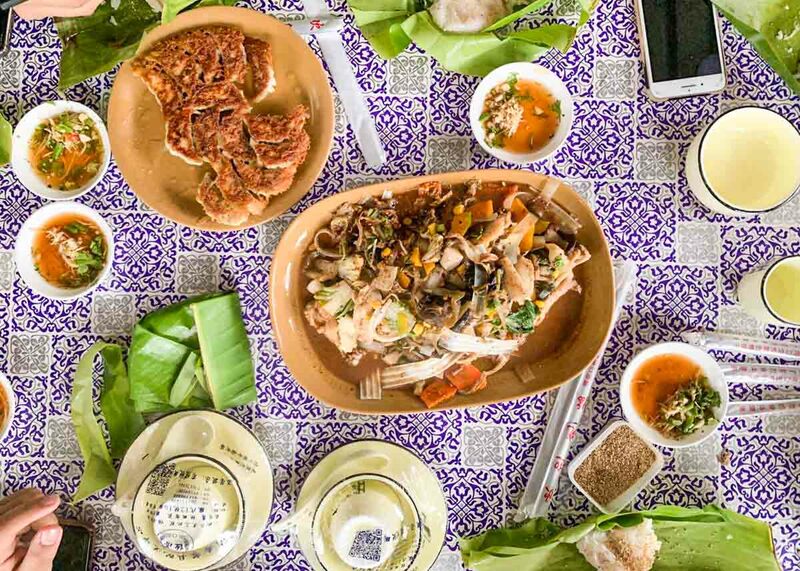 Mont Ti (K2,500) is a delectable thick rice noodle salad that is best described as chewy udon dipped in mild curry, while Onh No Kauk Swè (K2,500) is almost as good with wheat noodles served with marinated chicken in thick coconut milk broth. Have some Mhont Pyar Ta Lat (K1,300) aka savoury pancakes, and Banana Paratha (K1,200) for dessert. 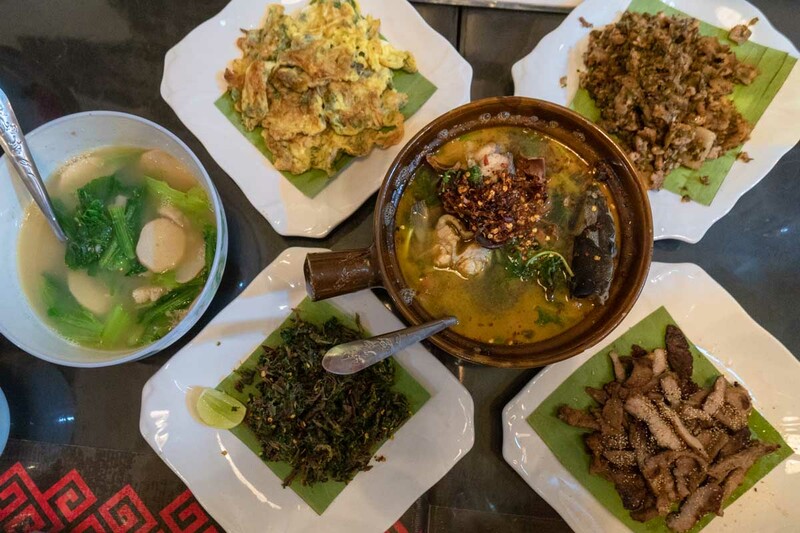 For a much cheaper option frequented by locals, the Pyi Taw Win Shan Restaurant along 27th and 74th street is reminiscent of mixed rice stalls back home. Head there in the early afternoon for a wider variety of dishes and fresher food. Address:74th Street, between 26th and 27th Street. You might think spending an entire day on a train is a waste of time. But the Gokteik Viaduct is no ordinary train. It’s an ageing, angry bull pummelling through heaves of thick dangerous vegetation, and we’re its apprehensive riders hoping for the best. Not only does it have rock hard plastic seats that test the mettle of your spine, it also has shady metal railings above your head to only hopefully hold your bags, and toilet bowls which are pretty much just holes that reveal the tracks underneath. Okay, so why the schmuck would I ride this? It’s magnificent. You get to see, hear, and feel the thrill of classic locomotive. You’re part of the trudges and blares that breathe life into the cosy villages you pass by. You’ll nap by the window and have your face caressed by an outstretched branch, reminding you that you’re one with nature. You’ll inevitably think about the people and what it’s like to live here, in a village miles away from the city. Getting Your Tickets: Make sure you head to Mandalay Central Railway Station the afternoon before to buy your tickets. 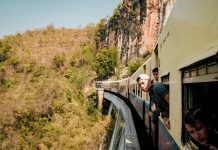 The train to Lashio leaves at 4AM every day, and while you still might be able to get a seat on the day itself, it’s best not to test your luck. *Pro-tip: Sit by the left side of the train to see the splendid view of the Viaduct’s bend right after Gokteik station. Afterwards, move to the right side to catch a glimpse of several superb waterfalls. Myanmar probably isn’t the first place you would consider heading to for a heart-pumping adventure. But in the delightful town of Lashio northeast of Mandalay, a group of hearty explorers and thrill seekers have made it their mission to show you another side of the country where adrenaline takes reign — and helps the local community by doing so. 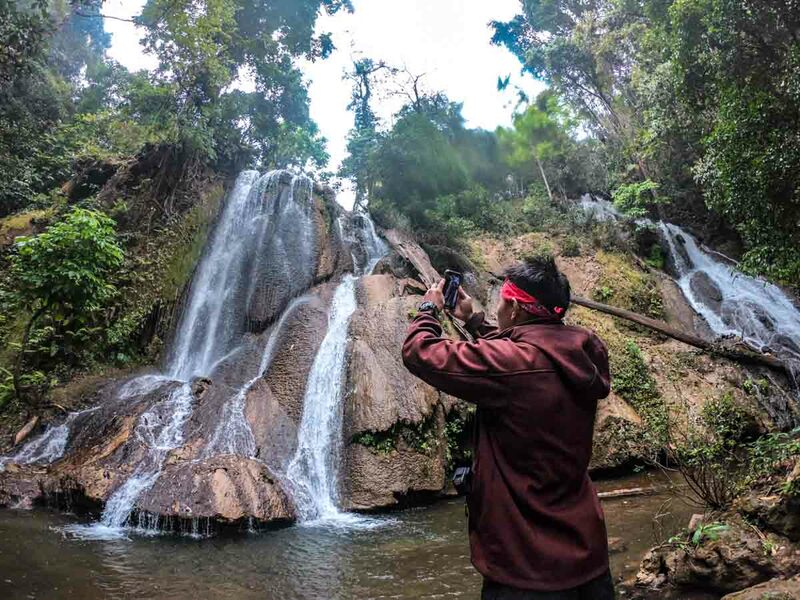 The folks at Myanmar Adventure Outfitters (MAO) are continually uncovering the lesser known parts in and around Lashio, a place largely unbeknownst to foreigners. 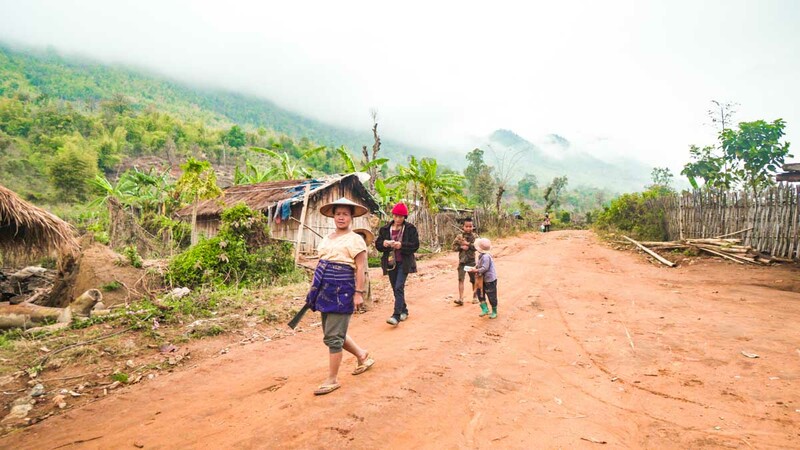 They provide free customised tours around the Northern Shan State, and profits gained are then pumped back into developing the people of the local communities there, hence we decided to give it a shot. We began our adventures with MAO by riding our mountain bike through the rocky outskirts of the town. Taxing as it is on our burning thighs to peddle up the steepest of bumpy terrains, it was worth the thrill of us hanging on to our handles for dear life, charging downhill with air currents toying with our petrified faces. The mountain bikes they used were extremely well-maintained — light, sturdy and steady. We needn’t had to worry after all. If standing inches away from the edge of a 50-feet cliff scares you, know that you’re not alone. Also, know that our guides Alex and Tyler have jumped, somersaulted, backflipped and nosedived into these waterfalls a hundred times more than you have ever stepped near one. This one, in particular, has been affectionately named “Dark Horse Falls”. Of course, they don’t recommend first-timers to take a leap from that height. There are other falls you can try jumping from that don’t give you heart-numbing anxiety. You could really just dip into the cold waters, take a swim, and gawk at the fact that something as beautiful as this was only really discovered a couple of years ago. Under the arrangements of MAO, we spent a night in a local village in Shan State, home of the Lahu and Lisu people. The village chief and his wife cooked us a warm meal of potatoes, bean noodles, and chicken (which tends to be reserved for special occasions) to fend against the chilly temperatures in the mountains after dark. Although a portion of people there speak Mandarin due to their proximity to nearby China, communication between us and most of the villagers were still limited to the basic “Mingalaba”s (Hello) and “Ce Zu Ba”s (Thank you). But the obvious language barrier didn’t hinder the locals from taking care of us and making us feel at home. We had our first meal in Lashio at a neat little restaurant that had a piece of tattered up A4-sized paper describing its offerings in English. Mai Mai served up some traditional Kachin food that honestly deserved to be represented better than on a flimsy piece of paper (at least laminate it!). The Kachin Chicken and Spicy Sour Cat Fish were the standout dishes of that night, and although the menu didn’t state the prices, our spread of seven dishes and five beers amounted to K39,000 for the five of us. Address: Along San Kaung Road, just before Hsenwi Street (to the right of Hotel CS). Lovers of spice, rejoice! 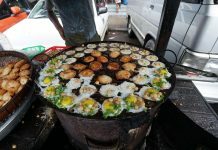 Malar King is a favourite of the Lashio locals, with three franchises around the city offering your taste buds a challenge. The Malar Fish was surprisingly succulent and so were the dumplings. We’ve been told that it’s hard to get a seat come evening time, so it’s best to arrive slightly after lunch time as we did. Address: Mandalay Street, Lashio, just before Dhamma Yeiktha Street. Hopefully, I’ve done a good enough job on this bio for you to give Myanmar a chance. She’s no catfish, basic bish, nor someone who pretends to lead an interesting life. She’s dusty and defiant, but she’s the real deal — and there’s a lot more about her for you to discover. 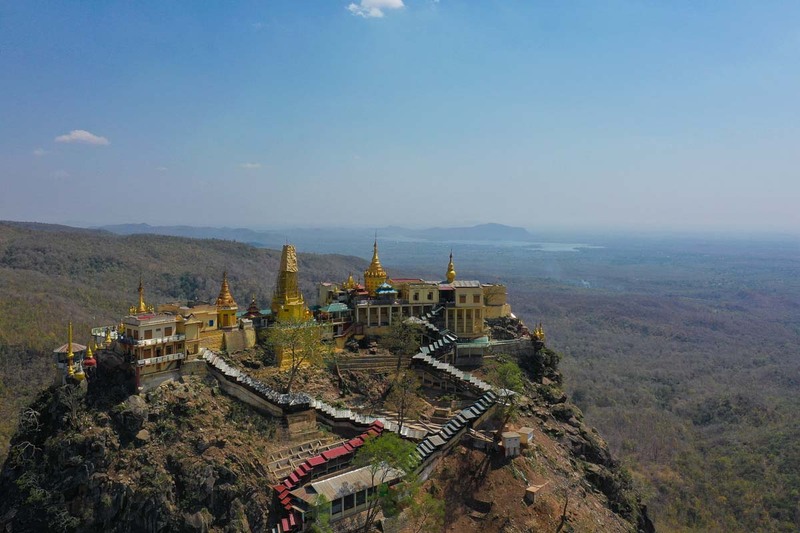 Visiting Myanmar free & easy may be a daunting idea, especially so if you’re planning to explore lesser-known places as we did. 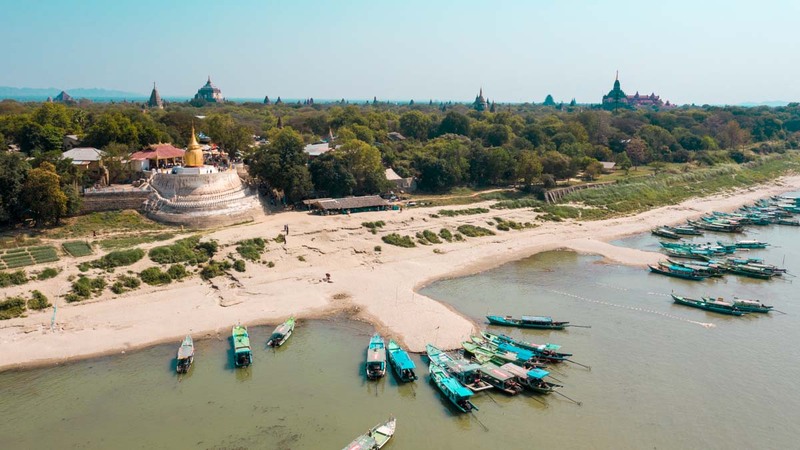 Get to Bagan and Mandalay easily from Yangon by pre-booking your bus tickets from Klook without needing to worry about language barriers locally. 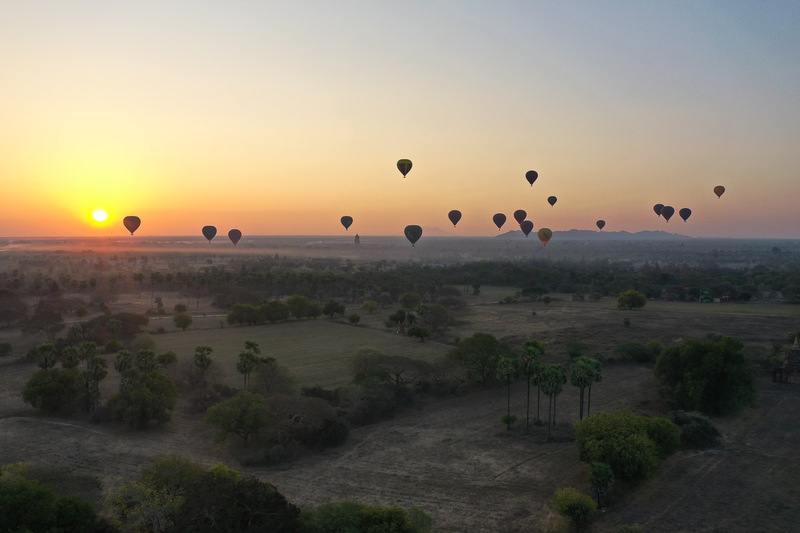 Also, get your tickets in advance to the Bagan sunrise hot air balloon experience by at Klook as tickets often sell out early! 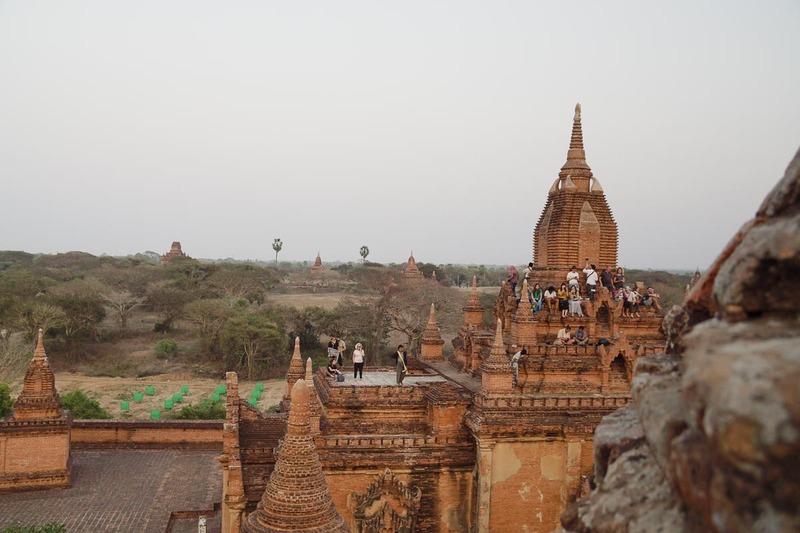 Thinking of Myanmar as a graduation trip destination? Here’s good news! Save more for your Myanmar trip now with Klook’s special promo code, <CONGRADULATIONS> for S$10 off with a minimum S$100 spend! Promo valid till 31st May 2019. Terms and conditions apply. Follow us on Instagram, YouTube, and Facebook for more travel inspiration!